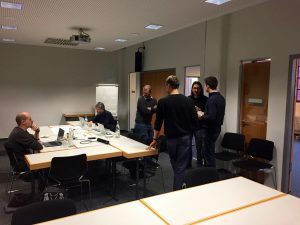 Moving towards the end of the active phase of our project, we’ve sped up once again in another meeting, this time in Heidelberg, the base of our partner Eurescom. We certainly should have gone there earlier and, more importantly, during a better season, as in mid-January, the beautiful and romantic city only reveals some of its charms. So not being distracted, our agenda really focused on the tasks for the remaining 5 months, in order to conclude and fulfill our objectives. We went deeper into technical issues on Pilot Phase 2 for non-linear and variable length playback. An approach we’ve agreed is to adapt the model of the “inverted pyramid” that is widely used in journalism to structure news. For a start, this principle is easy to realize in practice, leaving also room for editorial decisions. We had already seen that our pilot piece “Experience object-based audio” by BR science correspondent David Globig fits here, as it was by nature constructed according to this principle. Further analysis of the structure of BR’s news channel B5 aktuell has shown that this kind of program might also be applicable. 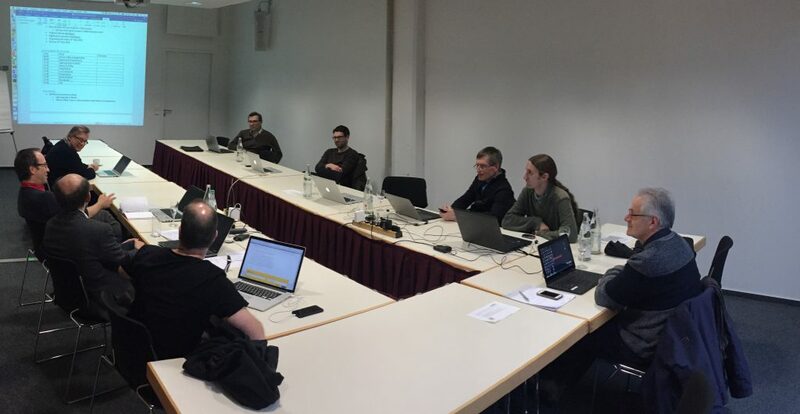 While the plenary meeting proceeded, in the adjacent room a group of specialists from our partners got down deep into the nitty-gritty of the professional object-based production format ADM and the conversion possibilities into the distribution codec MPEG-H. Good progress has been achieved to align the various options and features. Finally, we’ve started to shape our final workshop that is set to take place on May 15th 2018 at the IRT in Munich. Although it’s only 4 months away, until then we will still be heavily involved in quite a few third-party conferences and workshops, demonstrating and presenting our achievements so far. Meanwhile, lest we forget, there are still more public deliverables to be concluded before then. Having eventually packed up our things on Thursday afternoon and about to depart, some of us encountered the force of nature: storm #Friederike was swirling around all over western Europe, forcing high-speed long-distance trains to stop, and keeping aeroplanes on the ground. So, in many ways, our Heidelberg meeting may be called “calm before the storm”.